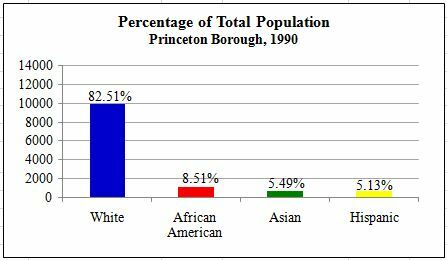 The following figures display the percent of total population made up of White, African American, and Asian races. 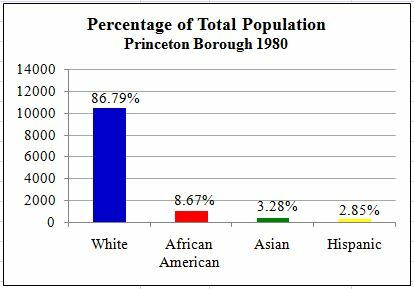 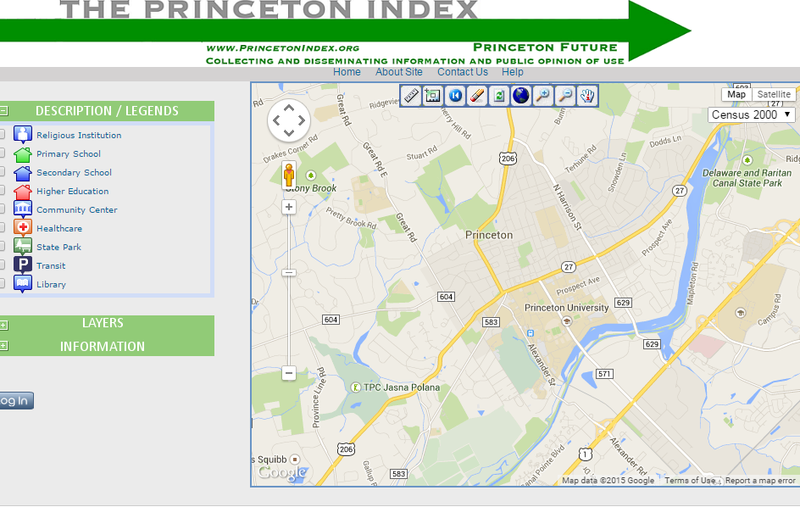 The graphs use data from 1980, 1990, and 2000 Census for Princeton Borough and Princeton Township. *Note: The data reported on these graphs do not reflect 100% of the total population of either Princeton Borough or Princeton Township for all time periods. 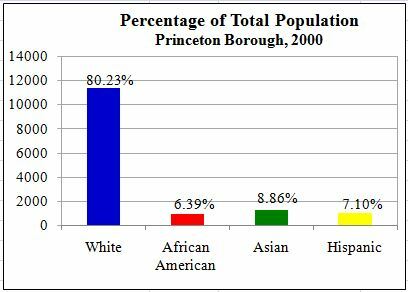 “Hispanic” is an ethnic category in this data and does not refer to a single race. 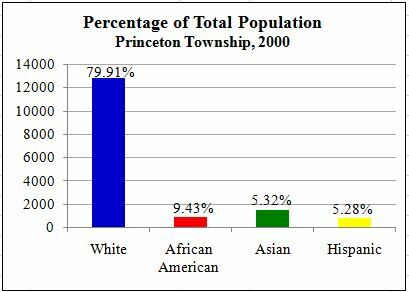 Therefore an overestimation of population occurs.